In Joomla it is possible to integrate a newsletter component which allows you to easily send emails in bulk without further extra cost per send email. This is a very affordable newsletter solution because it is a one time inexpensive investment wthout extra cost. The Acajoom newsletter component is the preferred newsletter component for its stability and possibilities. Our configuration is set up in a userfriendly way that allows you to send emails with a press on a button. Installation, configuration, setup and testing of your preferred newsletter component € 149,-. Customize HTML newsletter template. We provide can provide a design that will suit your corporate identity (logo, website, folder, brochure or business card) and we will add image positions for email client compatibility € 75,-. Import email addresses in newsletter component. We create a compatible csv file that contains all your email addresses and import the compatible csv file in Acajoom € 50,-. .csv file support. Import email adresses in bulk; Upload a csv file containing a list with your collected email addresses. Email list management; Double email addresses are automatically filtered. Subscribers are automatically added to the corresponding mailinglists, and unsubscribers are automatically unsubscribed and deleted from the list. Subscribe and unsubscribe confirmation mail (HTML or plain text) which can be fully customized. Double opt-in; With double opt-in you can prove that the newsletter subscriber entered the correct email address, because subscribers have to confirm their email address by clicking the confirmation mail that Acajoom has sent to their inboxes. In the European Union this is mandatory. Attachments support in newsletter. Large attachments (more than 5 MB) are not recommended. Tag support for sending personalized emails; insert various tags like [name] to make personalized emails. Unsubscribe option in your newsletters. It is regulated by Dutch law that you have to provide a possibility in the newsletter to unsubscribe. This is done by inserting the unsubscribe tag in the newsletter (footer). If you want more advanced newsletter features for your Acajoom newsletter component you can check out the official Acajoom product page where additional features for your Acajoom newsletter can be bought. 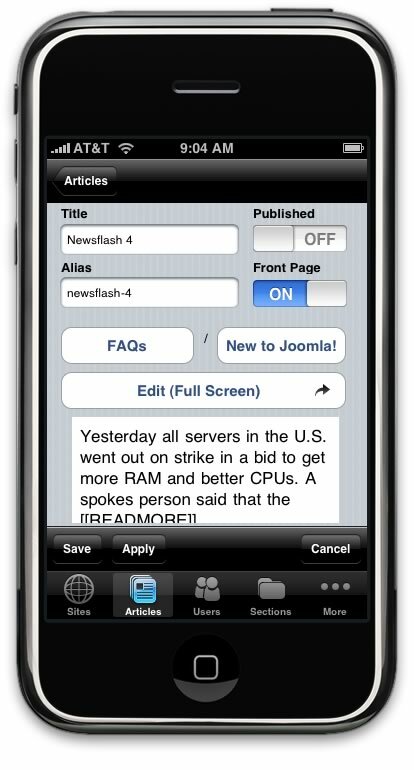 All features mentioned above come with the free newsletter component Acajoom News. The Acajoom newsletter component will work on most hosters but if you have chosen our web hosting service than we can guarantee that you will be able to send lots of emails in a short time frame. We have tested this service for various clients with up to 5000 emails (HTML and text) which were send in a timeframe of 3 hours. It is possible to send much more email per bulk if we don’t send the emails in a too short time frame. Besides the Acajoom newsletter component we also provide this service for ccNewsletter, Communicator and the Lettermannewsletter component. You can contact us for a hassle free newsletter installation service and start sending newsletters within two days. Wouldn’t it be nice to publish content to your website immediately whenever you get inspirition. Wheather this would be on the beach, in the bus, train or at school or work. Covert Apps has made this possible by developping an application that will enable you to maintain the basic functionalities of your Joomla website on your iPhone or iPod touch. With this application you will be able to write and publishing content to you website from wherever you are. This makes it very useful for blogging purposes. Pagination for all groups – You select how many articles, user etc you fetch at a time. Article filtering by section, category, or publishing status. The application is compatible with the iPhone and the iPod touch with iPhone OS 2.2.1 or newer. The application is sold on the iTunes application store for € 7,99. 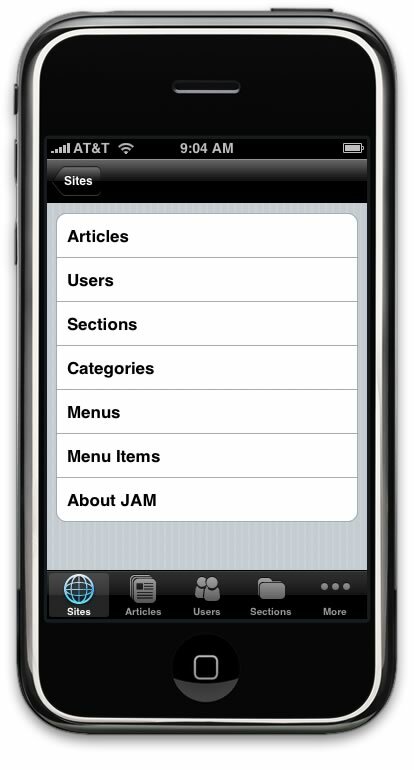 Below are some screenshots of the application on a iPhone. 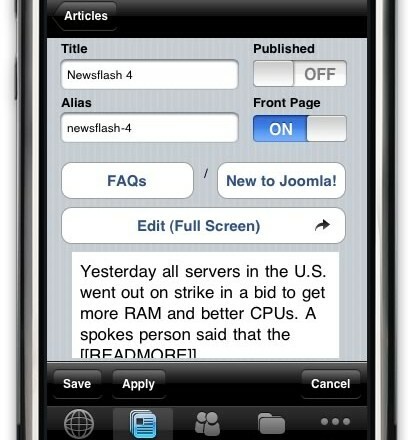 Need help setting up your iPhone and Joomla website to be able to maintain your Joomla site on your iPhone or iPod touch? Send us a message, we will be glad to help you with it. Choose our more than excellent web hosting and receive an installation of the latest Joomla or WordPress version for free. We will give you your administrator and database passwords and documentation in an easy excel overview so you can get started the right way. Start publishing you articles within minutes. Contact us for a free Joomla or WordPress installation with medium and large hosting packages. InternetBusinessRevolution.com + Internet-Business-Revolution.com – Premium domain with high potential for affiliate income by promoting online marketing software etc. Keiseo.com – only 6 digits and a frequently used term in seo “keyword effectiveness index”. 1seo.nl – number 1 seo company, there can only be one number one right? 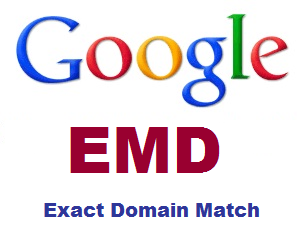 Higher ranking in search engines with less effort giving you an unfair competitive advantage. You url will be displayed in bold when people search for the keyword leading to higher click through rates. They are great for developing a blog and to profile your company as expert on the subject. Keyword rich domains that rank high are interesting for link partners and to link to your money site. When setting up a link directory on the domain you can use it for three way link building and make competitors link to your money site. Aged domain names are more trusted by Google thus having more Trusrank which will make it easier to rank on keywords. Some domain names have a website developed on it with quality and relevant content which drives visitors to the site from the search engines. Some domain names generate income (for example from Adwords or other advertising options) and have visitors. Aged domain names often have links pointed to them and when these links are form quality sites and conain keyword rich anchor text then it will boost rankings for these keywords. Some domains already rank for particular keywords. Contact us for more details about the domain names that we have for sale. After negotiation and purchase the domain name will be in your posession within one week time after purchase. Getting your site listed in DMOZ.org (Open Directory Project) is very good for your seo. Besides that you have to be aware that Google often grabs the description from DMOZ in the search results descriptions. What do I need to do to get my site listed? First of all you will need a good quality site. DMOZ doens’t want to be a promotional tool for webmasters but want to be a library with interesting internet sources. Any site that has quality content that can serve the public good can get listed. Make a as short as possible title for your listing with your companies name in it. What to do when you have a good quality site but your site doesn’t get listed in DMOZ? Where “title” is the title you submitted with your dmoz listing. Beware that if you have double submitted your site to DMOZ you can get blacklisted. Wait at least six months before resubmitting to DMOZ. If you have a site that contains a lot of advertisements or non informational content than your site probably will not get listed. It is not proven but there is a hunch that a small proportion of the 8000 DMOZ volunteer editors could have benefits from being a DMOZ editor. They could get their own websites and their friends websites listed and keep competitors from being listed which could make DMOZ not objective. But the majority of DMOZ editors seems ok and does an objective job. When applying for listing it is important that you select the right category, narrow it down as much as possible. DMOZ is a list which is very geo targeted so you should try to list your site as much as possible in your region/city. Some categories have keen editor volunteers and limited submissions, so no submission waits for more than a couple of days. Other categories have many submissions and attract few editors, so any submission are waiting for years. How to get more listings in DMOZ? Only extremely high content rich sites get listed in more than three categories, with the exception of sites that offer content in multiple languages. These sites can get listed in all their language regions. Now you know how to get listed in DMOZ. You can go to their website www.dmoz.org and submit your site. We hope you will succeed. Website analysis is a core function of webmaster. By offering free website analysis Google has won the war for search engine supremacy. Now you have visibility to see how visitors reach at your site, how many go back, how many converts in to your customers and all sorts of such detailed reports. Google acquired Urchin Software Corp. in April 2005 and created Google Analytics services. Google use ‘page tag’ technology for analysis. To get its services you need to have register with Google analytic account. It is an easy process since it requires you to have your Google account and the code inserted in to the page of your site, which has provided by Google when you are going to start Google analytics. Google analytics produces lots up details regarding to your site if you can read it. For reading information produce by Google analytics, you have to accustom with some terminology and the location where you will get it on Analytics account. Let us take a brief tour of such parameter and know little bit about them. The very first step you will take is to ‘log in’ into Google Analytics account. At the center of the page there is a section titled as Website Profiles. There is link named view reports when you click on that link it will bring you to the Dashboard. On the dashboard page there is a chart, which depicts visual representation of the site traffic for the past months. This chart starts showing data when you insert the code into your site. There is a facility to see the chart with the span of time and you can do it by clicking on the ‘date’ button at the upper right hand corner. A Calendar will pop up select the date or manually type it you will get the chart for that date. If you want to compare two different time periods first select the time period range you want to see and then push the ‘compare to past’ button and select another time range that you wish to see comparatively. Visits menu is just below the date’s menu. If you want to change the graph into pageviews then just click on it. By clicking on it you will be able to know how many times your sites page have been viewed, on average how many pages of your site does the users visits, How much time is spent on your site by the user, what is the bounce rate percentile, and also what is the percentage of the new visits. Pageviews shows that what many times the users see your page. Bounce rate informs us that how many times a user just leaves the site after only viewing one page of it. Avg. Time on site shows that how much time a user spends on your site. New visits shows that what percentage of the users have never visited the site before. If you want to view the site usage then below the visits chart you will be able to see a header saying Site usage, with small six charts below. Moreover, you will be able to get information on statistics of site traffic for the duration of the time displayed on the main chart. In addition to this each, one has individual charts. Visitors Overview is a chart that shows that how many times the users visit your site. Map overlay shows that from what countries the visitors come. Traffic sources overview displays what percentile of the users do come to your site by just typing the URL directly in the browser, or via search engines, referring sites, or other avenues like the emailed links, etc. 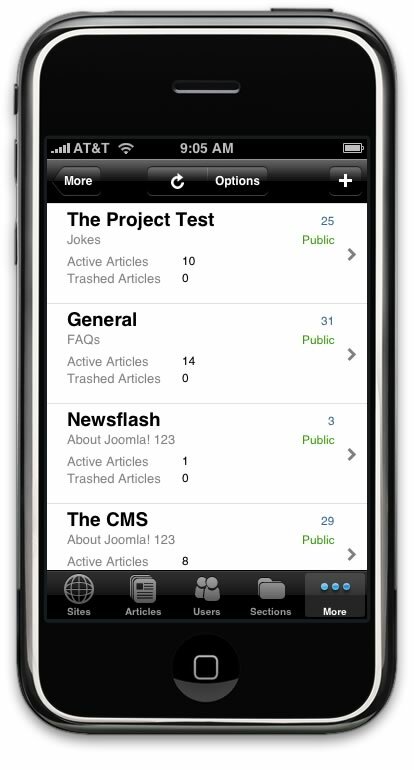 Content overview shows the five top most pages viewed by the users during the span of time you are looking at. Many business websites make use of a quote request form. With this form visitors can fill in their contact data and let the company know what type of product or services they need. Ideally the request a quote form gives the user options to choose from so that the visitor does not have to think about all available options themselves. Unfortunately many request a quote forms do not show the visitor what type of services or products the company has to offer. What happens is that visitors have no clue what options there are. Most of the times the visitor will then give only a brief description about their desired wishes, giving the company very little information to set up a custom quote for the potential client. What are the benefits of a custom request a quote form? When visitors like your site they will usually spend more time on the site and are more likely to buy. Everyone knows that a professional looking website converts better. For example would you still enter your credit card data into a website that looks from the stone ages and written with HTML? I don’t think so. A properly filled in request a quote form will give the company a lot of detailed information about the needs of the client and therefore the company will be able to give the client a well thought through quote. If you want to call the potential client and you know already a lot of their desires then you have a lot of information to talk about and advise the client. The client will definitely appreciate this and it will help you to close the deal. How to choose a custom request a quote form designer? Excellent knowledge of PHP; A good PHP coder will code the custom request a quote form in PHP and integrate it into your website. Being able to work with version control. Version control will help the form designer to look into the changes he made and it will help the designer to go back to a previous state and test with different coding options. Without version control it is almost impossible to create a complex form. Knowledge of web design and graphic design. This way you know that the custom request a quote form design will merge perfectly into your site and looks professional. Good knowledge of your business. If the custom request a quote form designer knows a lot about your business then he or she will be better in thinking about the possible options and this will help in speeding up the design process. It will also save you time in explaining the options to the designer. We can help you to design the custom request a quote form that suits your business. View an example of a custom request a quote form we made for the website www.SimpleSeo.nl. This is an excellent example of how a request a quote form can help a visitor choose from options they have. Furthermore this request a quote form will show the visitor in real time what the total price will be when choosing one of the options by clicking on one of the checkboxes of sliding one of the sliders. Furthermore this form gives visitors to get a quote for all available steps by clicking just one checkbox. This way you will not lose any potential clients that do not have time to fill in the form. Contact us and let us design the request a quote form for your site. It will help your site to optimize conversions.